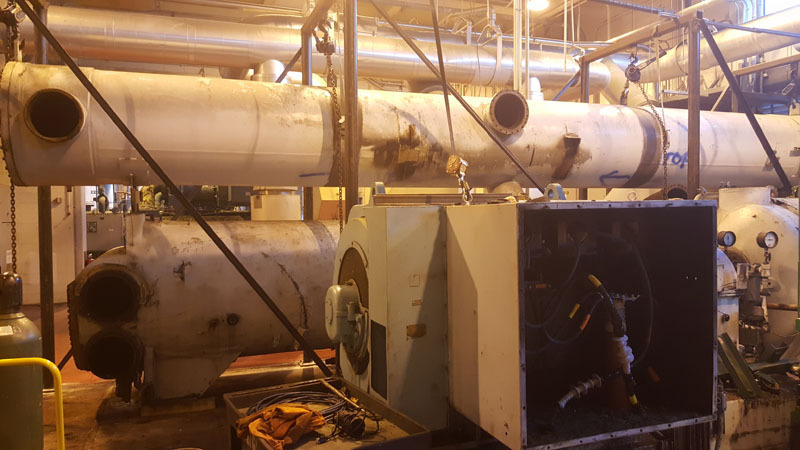 45 year old Industrial Trane Chiller being torn down for the last time for replacement. Thermetrics Corporation had maintained it for the last 15 years of its life in an industrial co-gen plant here in Orlando. Replaced by a new, more efficient York chiller.